Now accepting Undergraduate and Graduate Scholarship applications! Applications will be reviewed by a committee of WTS-LA members and awarded at the annual Scholarship and Awards Dinner, which will be held on November 9, 2017. Scholarship applications are due June 20, 2017. 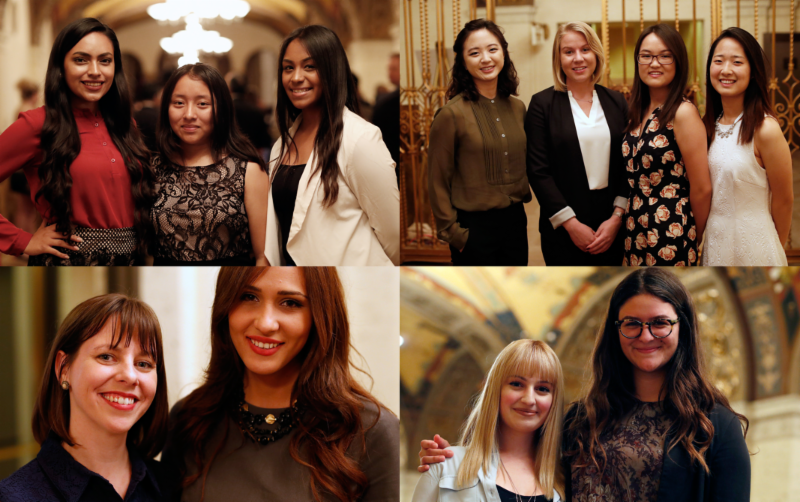 In 2016, the WTS Los Angeles Scholarship Committee oversaw the distribution of more than $40,000 in competitive academic scholarships to women in high school, certificate, undergraduate, and graduate programs in transportation-related fields, including Transportation Engineering, Planning, Finance, and Logistics. In 2017, WTS Los Angeles plans to award over $50,000 in scholarships! Applications are reviewed by a committee of WTS-LA members and awarded at the annual Scholarship and Awards Dinner, which will be held on November 9, 2017. Additional chapter, corporate and agency scholarships will be awarded based on availability. No separate application is required for consideration for those scholarships. Women currently enrolled in undergraduate, graduate degree, or certificate program in a transportation related field, such as Transportation Engineering, Environmental Planning, Finance, Goods Movement or Logistics. Applicants must be enrolled in a school in Los Angeles County or have residency in Los Angeles County. GPA and other requirements vary by scholarship. NOTE: Previous winners of a WTS-LA scholarship are not eligible to apply for the same scholarship. Applications and additional information are available on the WTS website. For more information or questions, please contact the Scholarship Committee Chair, Elisabeth Rosenson wtslascholarships@gmail.com.